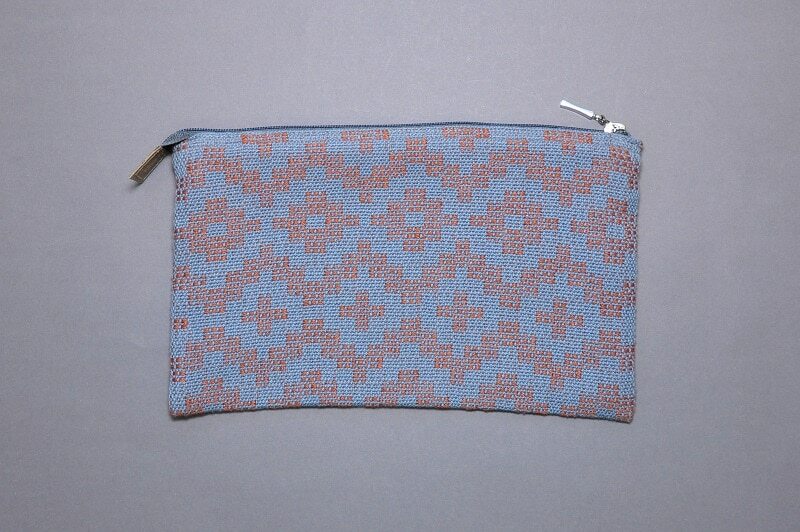 Zipper pouch with a difference – only plant fibers were used to create this product. 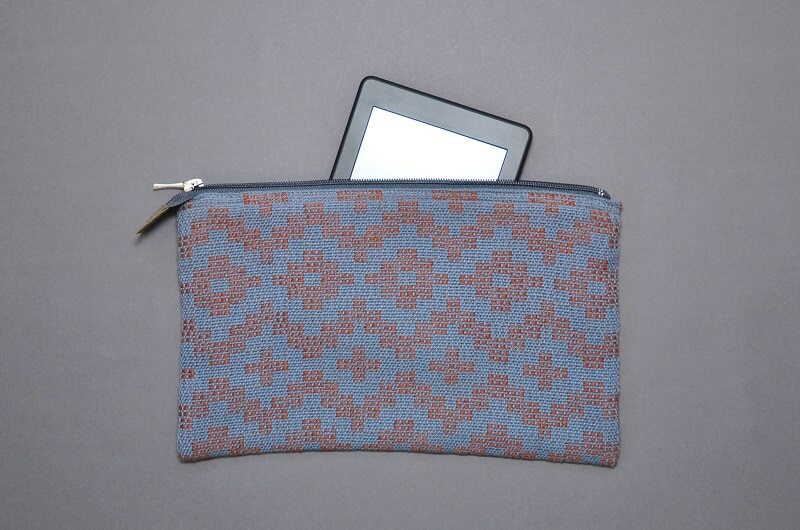 Woven with organic cotton in steel blue colour & linen in brick red (non-organic). 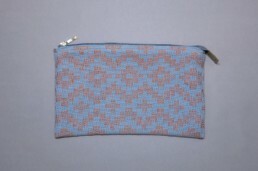 Both sides have an identical pattern. 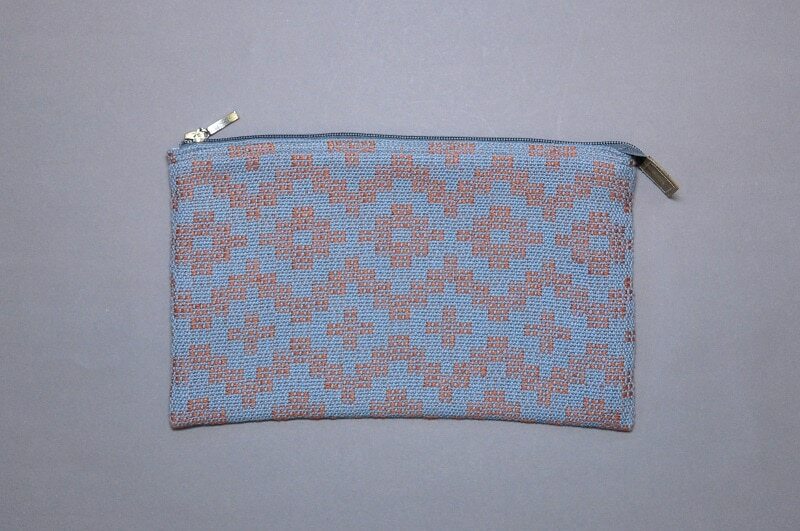 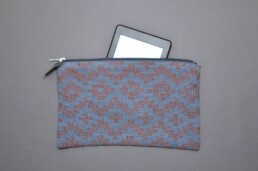 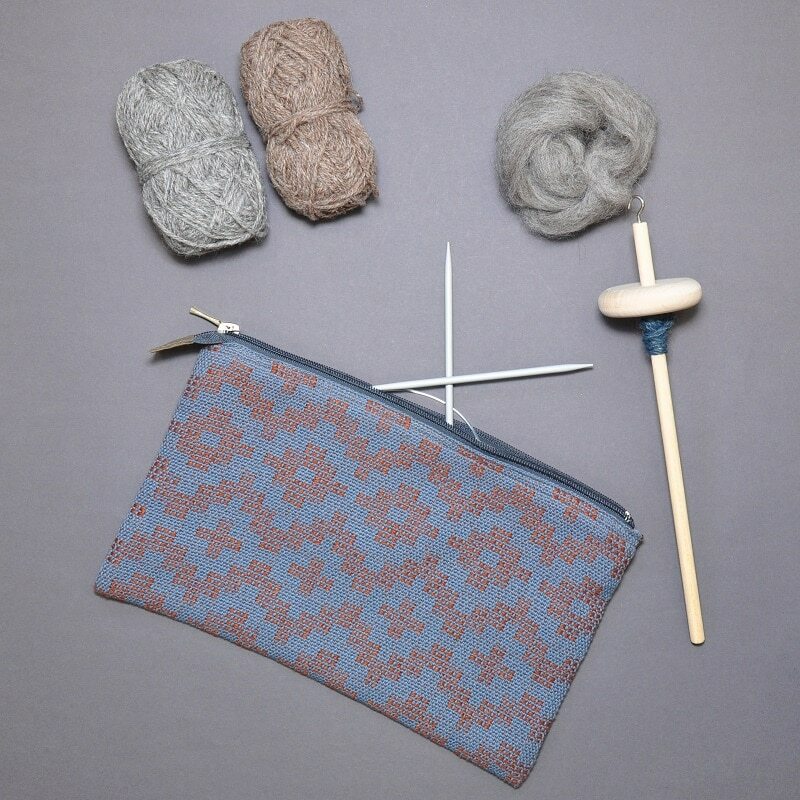 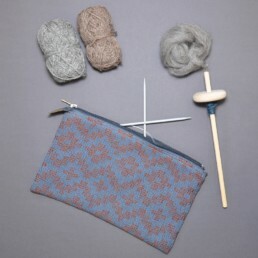 Lined with linen in pale steel blue colour, this zipper pouch will be great for keeping you organized. 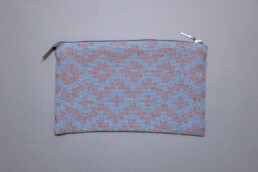 Zipper in stormy blue colour is secured with a washable paper patch (made of cellulose).